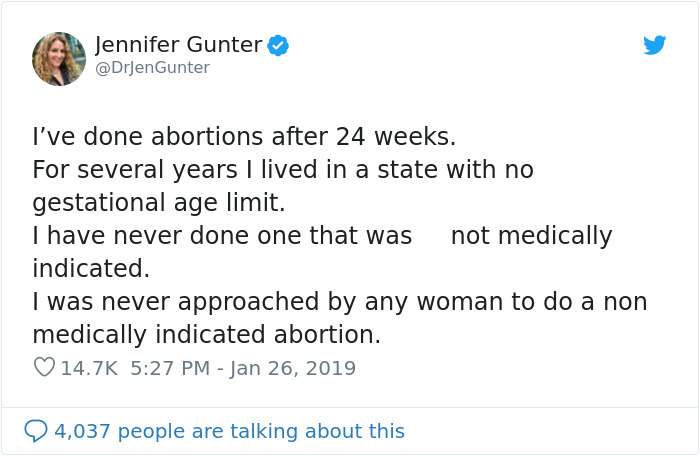 On the 46th anniversary of Roe V. Wade, New York state passed a law to protect women’s access to abortion if the historic case is ever overturned. 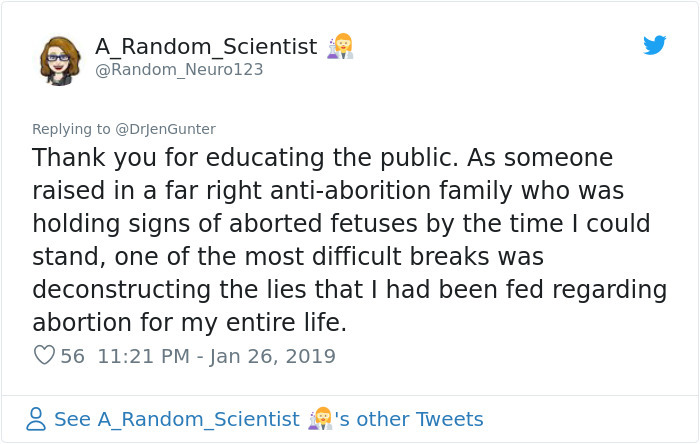 Then, the Court ruled that the right to privacy under the Due Process Clause of the 14th Amendment extended to a woman’s decision to have an abortion. 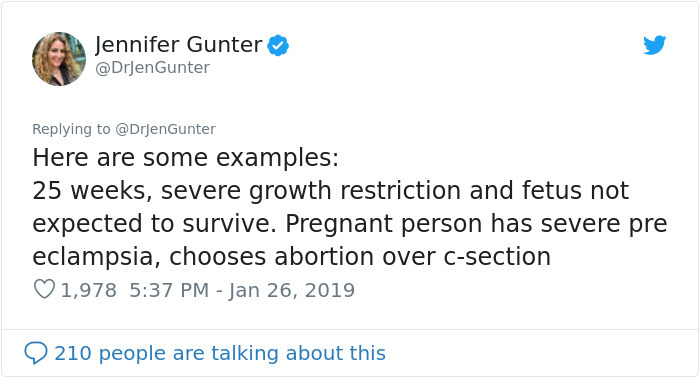 This right, however, must be balanced against the state’s interests in regulating abortions: protecting women’s health and protecting the potentiality of human life. 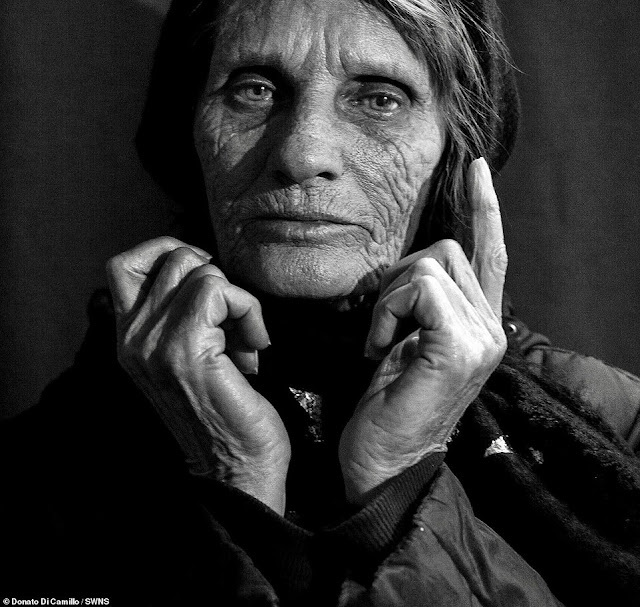 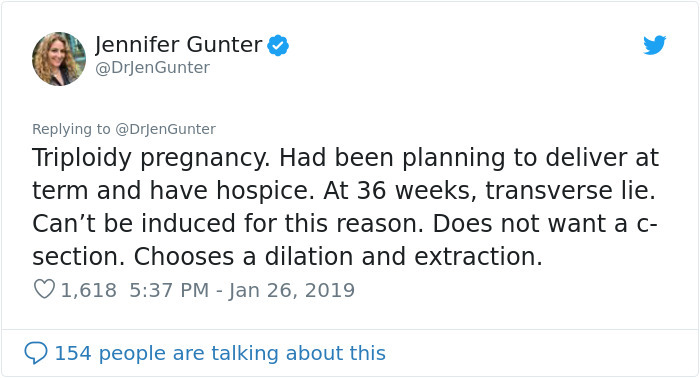 The Court tied state regulation of abortion to the third trimester of pregnancy. 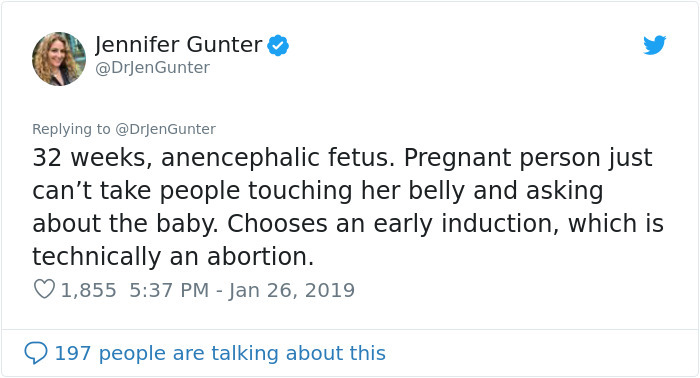 This news wasn’t accepted well by the Pro-Life camp. 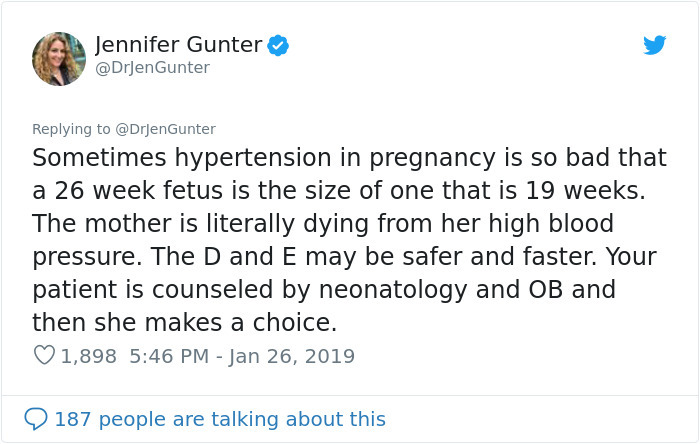 “We need to be honest with the public and say that this bill does not simply codify Roe v. Wade… what this bill does is expand abortion up to birth and the third trimester,” State Assembly Rep. Nicole Malliotakis said, pointing to the part of the law that allows medical professionals other than doctors to perform abortions. 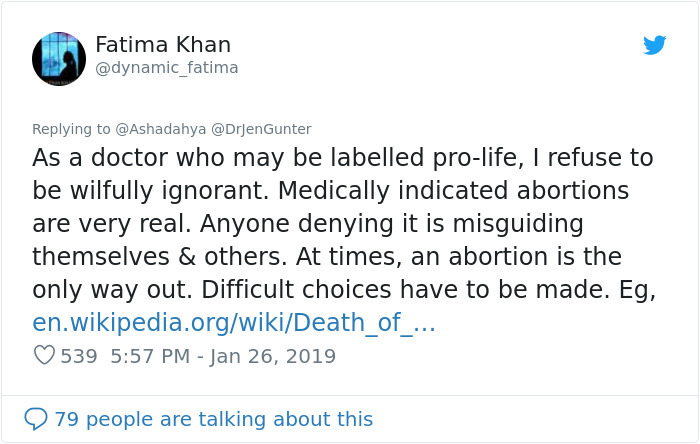 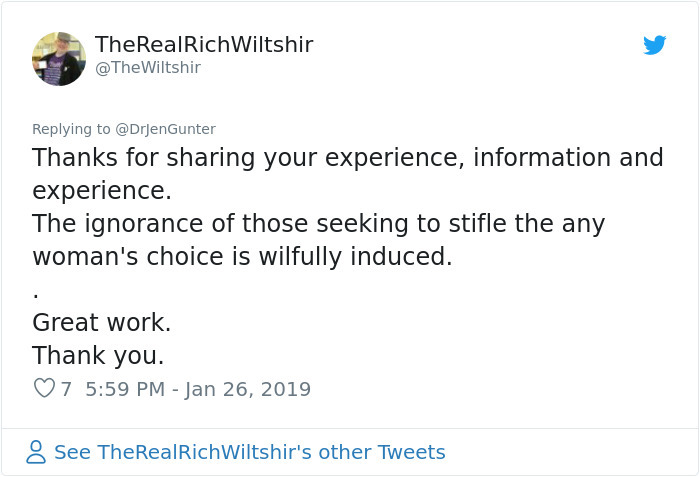 According to her, Roe v. Wade requires a licensed physician to perform the procedure. 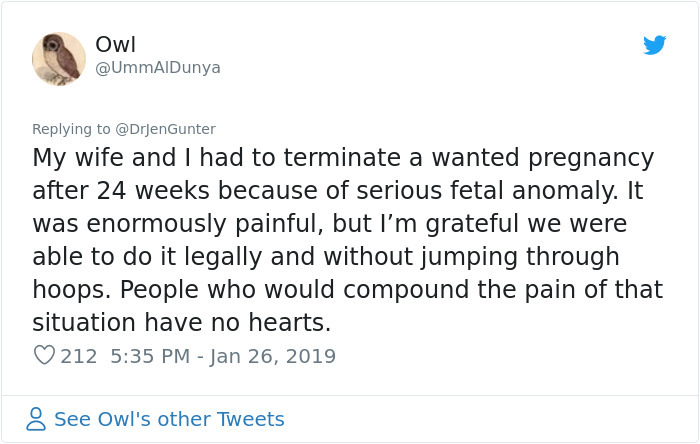 But this law removes that requirement and allows physician assistants, nurse practitioners and midwives to perform abortions. 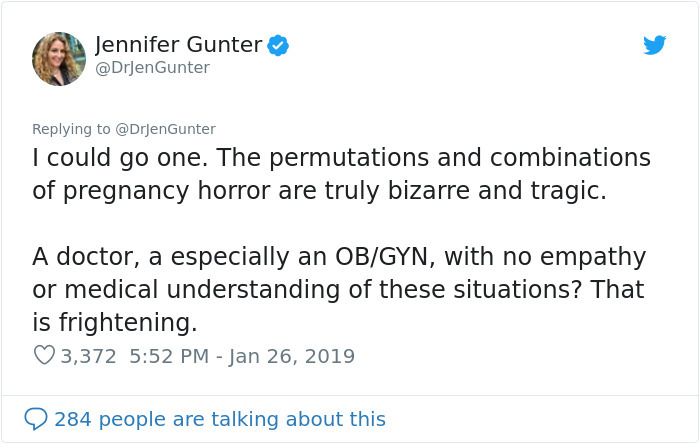 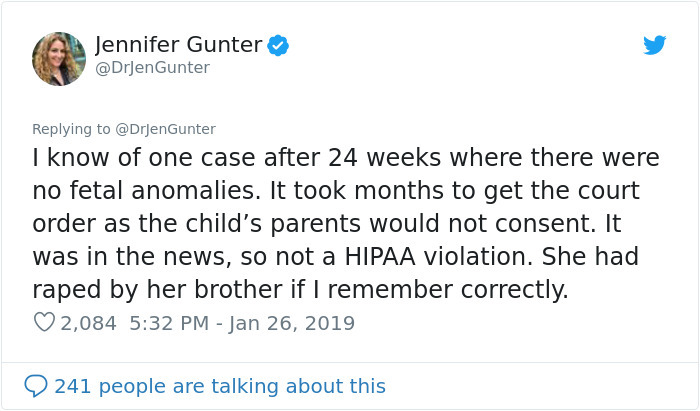 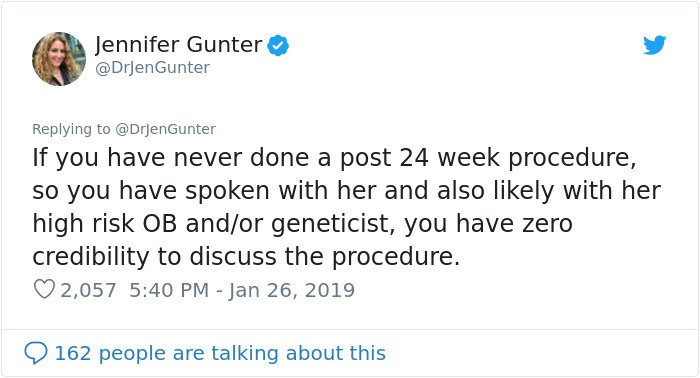 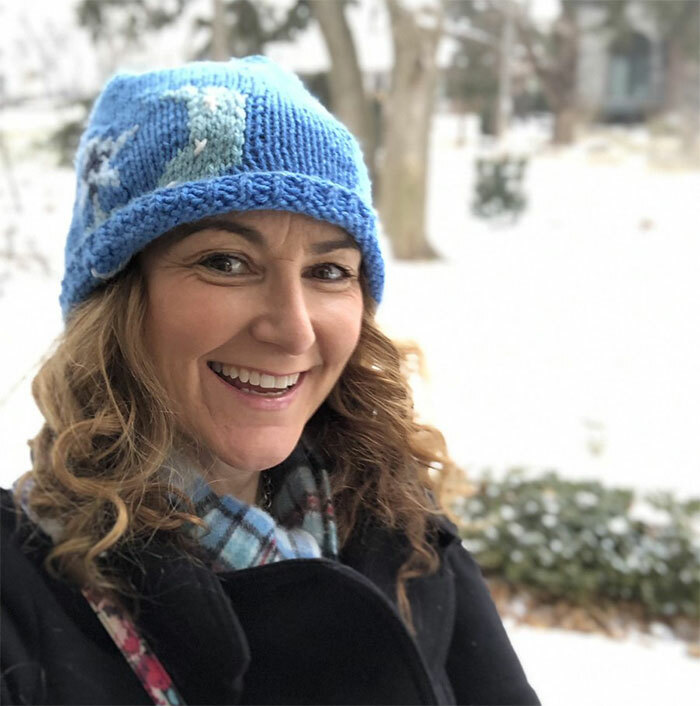 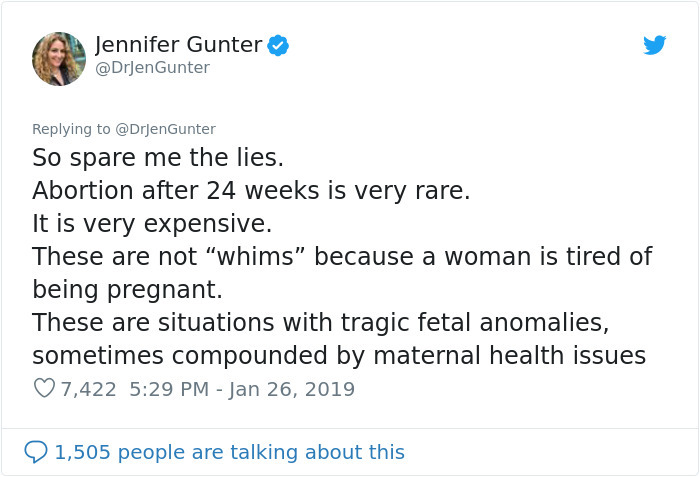 Gynecologist Jennifer Gunter has lived in a state with no gestational age limit and performed abortions after 24 weeks. 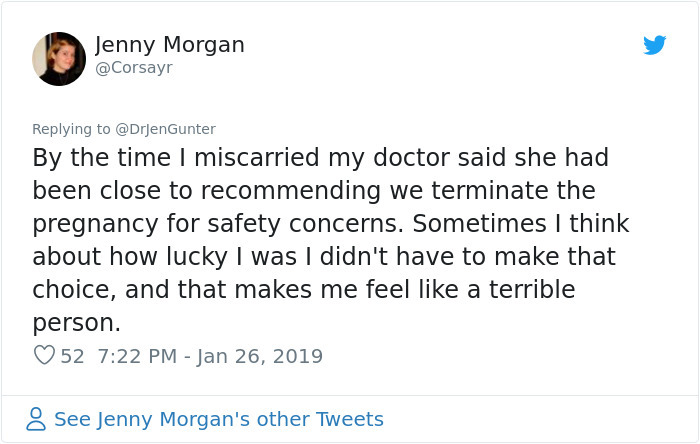 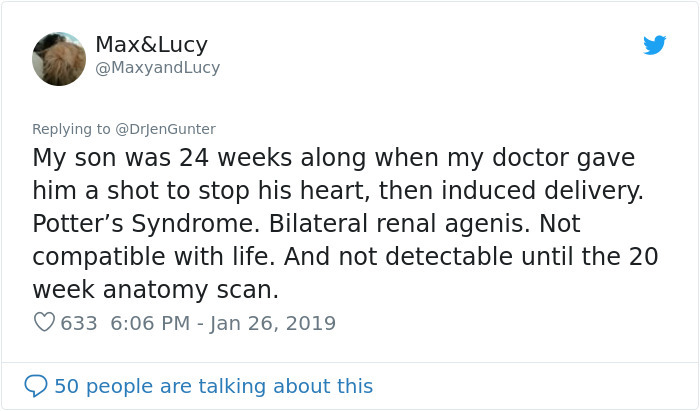 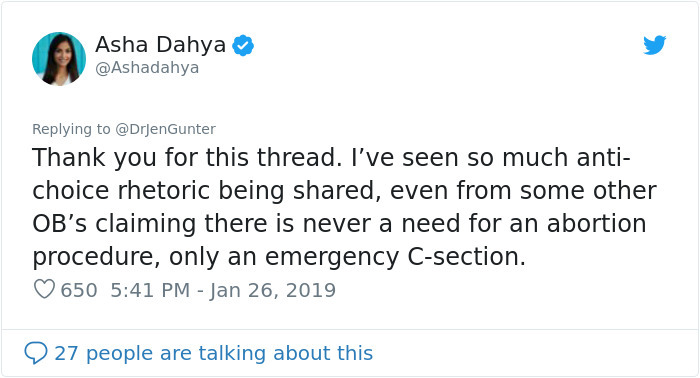 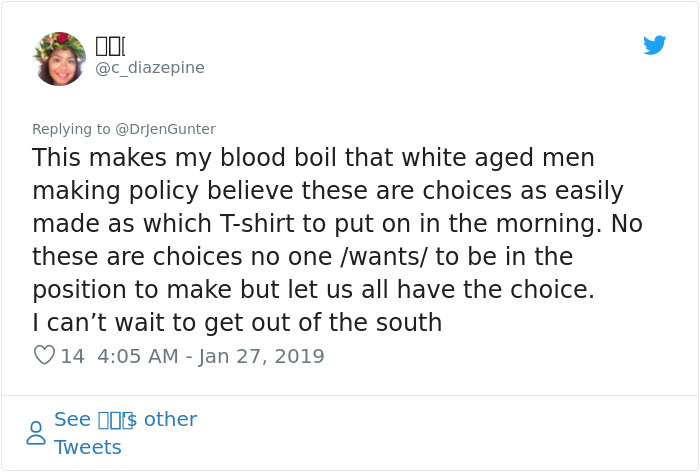 Recently, she addressed her 111K Twitter followers in a thread explaining her experiences with this heart-wrenching process that some parents have to go through, and it went viral.